Stock #4110, Retail Price $29.95. To buy a copy now, click here. 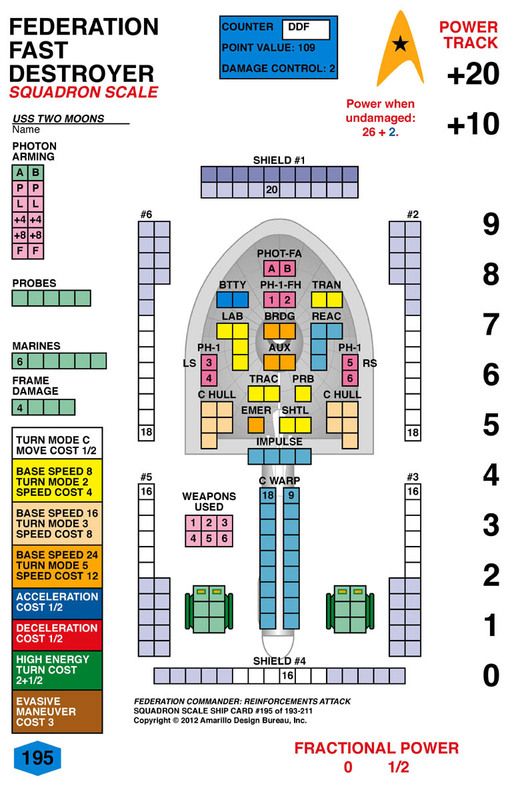 New Game Value: Ground bases, fast ships, and special variants. For battered squadrons with little hope remaining, the word “reinforcements” brings hope that victory is still possible. 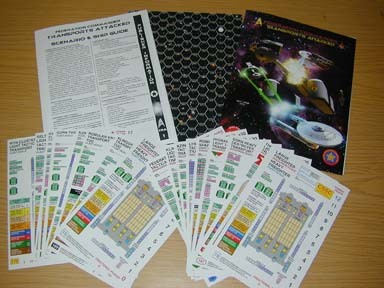 Components: 16-page Ship & Scenario guide, nineteen full color double-sided laminated ship cards, a set of 40 1-inch counters, a set of 140 half-inch counters. To use this product you need either Romulan Border, Klingon Border, or Academy. 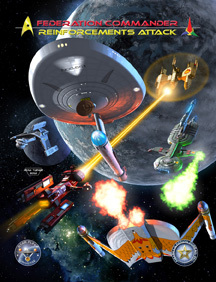 You will also need either a copy of War and Peace or Distant Kingdoms to use some of the ships. Boosters #34, #35, and #36 provide entirely new Ship Cards. SKU 4234, 4235, 4236; $9.95. Booster #34 has seven new aegis escorts. Booster #35 has four new police ships and three new raiders. Booster #36 has five new dreadnoughts and two new heavy battlecruisers. 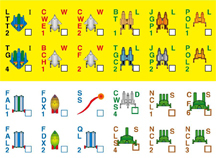 The combination of the rules in this product, and the rules from Klingon Border, Romulan Border or Academy provides all the rules required to play the ships in this product. One of those three products is required to play.